Rasenberg-Group uses structured framework programming, best programming practices, coding guidelines and standards. As the technology advances and the programming landscape changes to accomodate the world’s growing technological needs, Rasenberg-Group constantly evaluates the latest trends in the development community. We improve ourselves to provide our clients the best possible development solutions. Programming logic and actions are isolated from interface / layout files (HTML, CSS), making it easy for Rasenberg-Group’s Design Team or any designer without programming experience to be able to edit the interface and make design changes without help from programmers. Programming builds are based on the module, libraries, and tools, allowing Rasenberg-Group’s Development Team or any programmer to easily share libraries and implement complex functionality and features in a fast and efficient manner. The structure that Rasenberg-Group uses helps produce best practice coding with consistent logic and programming standards, and provides other developers the ability to become familiar with the code in a short time. Rasenberg-Group has built its own framework, based on comprehensive research of the most advanced frameworks. The Rasenberg-Group Framework uses the best, most advanced architecture for versatility and future growth; object-oriented best practices; simplicity and a comprehensive code base. Rasenberg-Group also works with its clients to select an appropriate programming framework based on each client’s requirements. Since the early days of the Internet, Rasenberg-Group has been building interactive, dynamic and enterprise level web applications. The Rasenberg-Group Development Team has years of experience and extensive knowledge in SQL Database Programming, Online Database Programming, Custom Business Database Programming, eCommerce Applications, and Custom Enterprise Database Applications. The most advanced tools are used to create robust and state-of-the-art applications that can be implemented on many server platforms and web technologies. Performance testing is a part of Rasenberg-Group’s development process. Rasenberg-Group builds sites for success and develops to allow for scalability and future growth. Advanced applications require greater server resources — Rasenberg-Group builds automated test cases to simulate thousands or millions of users, to ensure that your site can handle the traffic. An important part of development is testing every possible interaction with the application. Rasenberg-Group’s skilled QA team thoroughly tests all features before they are deployed to the public. Rasenberg-Group isn’t satisfied until the highest level of quality is attained. Usability is critical to the success of a web site. Although Rasenberg-Group builds applications that can perform any complex task, simple, user-friendly interface designs are also integrated. Your target audience will appreciate the difference they discover, resulting in repeat usage and a great brand experience. Rasenberg-Group is experienced with the integration of standard and high-level security compliance standards and procedures, and routinely implement PCI (Payment Card Industry) Compliance and HIPPA Compliance requirements. Rasenberg-Group Development provides the custom tools you need to stay in control of your site. Updating content, gathering reporting data, and making administrative changes are easy with a custom-built management console. The Rasenberg-Group Development Team has a comprehensive project management system, a proven system to enhance the delivery and communication with the client throughout the project programming and development process. Rasenberg-Group Corporation builds websites and applications for success. 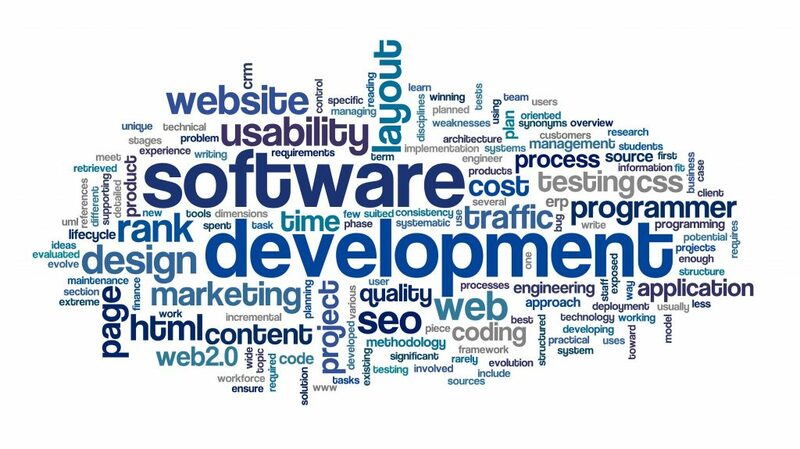 Looking for Software Developers that understand business and know what ROI means? Contact us today!